Looking for a suitable tobacco flavor? Naked 100 E-Juice Tobacco Euro Gold can be a nice one to think about. 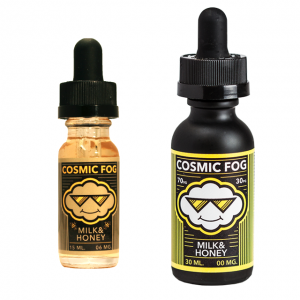 This American brand extends the range of tobacco category of e-juices. With Tobacco Euro Gold they make a step up setting a new standard for tobacco flavor e-liquids. While vaping you will taste a smooth bodied tobacco blend. Finest light tobacco notes of Naked 100 e-juice will ensure a pleasurable vaping. All tobacco flavor lovers will enjoy it. Also, vapers can choose nicotine level from 4 available options. Besides, Tobacco Euro Gold comes in a 60ml glass bottle. Naked 100 brand pays close attention not only to flavor characteristics but also to the design. A minimalistic design of this American brand distinguishes their e-liquids from the others. What is more? Tobacco Euro Gold has a 70/30 VG/PG ratio providing great vapor production. All in all, this e-juice by Naked 100 with its delightful tobacco flavor is a nice option for those who are trying to move from smoking to vaping. Enjoy your favorite tobacco flavor without the harm, which actual cigarettes cause.